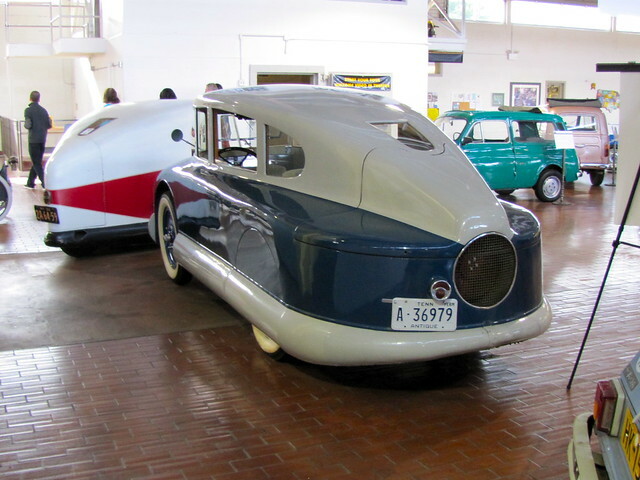 “Built by Martin Aircraft Company of Garden City, New York, this advanced car was designed according to principles developed by pioneering European aerodynamicist Paul Jaray. Its pontoon-shaped underbody, fully covered rear wheels, gently sloping nose, and tapering rear body were unusually efficient for the day and enabled the car to reach a high 107 miles per hour in testing. The one-of-a-kind car cost a staggering $17,000 to build and is powered by a four-cylinder, water-cooled rear-mounted engine. Its airplane-type suspension does not make use of conventional springs. The aluminum body has one door that opens into the back seat. This Martin was built for Air Force General William “Billy” Mitchell of World War I fame. A little research on the Martin led me to this quirky beauty, the 1950 Martin Stationette, which I hope to be able to see in person someday! 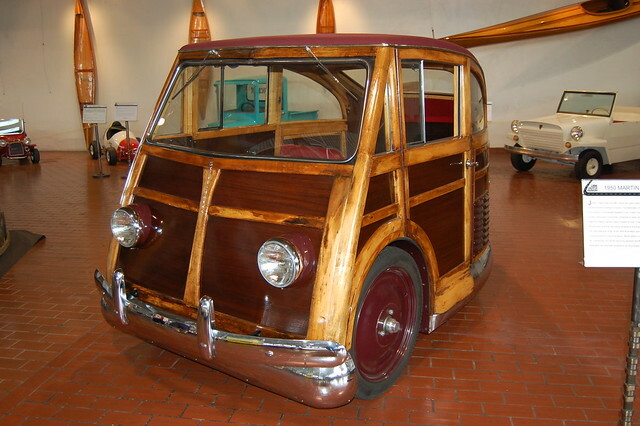 Be sure to check out Lane Motor Museum’s website, which features an extensive collection and specializes in one-of-a-kind vintage autos.